Whether you want to work, live or play, s1 has all the information you need about Aberdeen. Aberdeen is known as the oil capital of Europe, the Granite City and many other names that relate to the abundance of resources and minerals in the surrounding lands and sea. Over the last few decades Aberdeen it’s this oil industry that has transformed the city into one of the richest parts of the UK. Aberdeen has one of the most buoyant job markets in Europe with many people flocking there due to the abundance of oil industry jobs. As these jobs are very often highly paid, this has resulted in the rest of the city benefiting from the multiplier effect of this wealth. Oil and gas + engineering job opportunities have risen to 32.4% of all jobs advertised in the city, up from 24.7% in 2010. A high percentage of jobs are still in the accountancy sector due to the number of large and small businesses with headquarters in the city. The oil industry, and all the positive sides effects of its wealth, has resulted in an employment rate of 65.9% (Source: Labour Force Survey 2011). 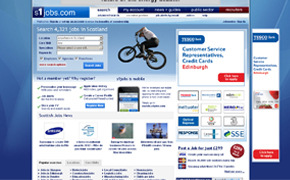 Currently there are over 900 jobs in Aberdeen advertised on s1jobs. Aberdeen is still best known for its impressive granite buildings that dominate the landscape of the city, all the way out to the suburbs. Although most residential granite buildings are quite plain due to granite being a lot harder to shape than sandstone or other building materials, there are some gems to be found if you wander close to the city centre. The best example of this is the Marischal College building, the second largest granite building in the world. Due to the concentrated levels of oil wealth in the city, Aberdeen now has a number of wealthy areas with large, five plus, bedroom houses that you would normally associate with wealthy London burghs. Areas like Milltimber and Cults have average property prices that are comparable with the capital. The past decade has also seen the building of many high end apartment blocks in the city. Many of these are used to cater for the transient oil workers and large student population. 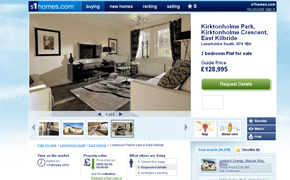 Currently on s1homes, there are over 70 houses for sale in Aberdeen and over 30 flats for sale in Aberdeen. There is also a significant rental market, you can view flats for rent in Aberdeen on s1homes..
To cater for the large number of students and the amount of wealthy oil workers in the city, Aberdeen has a thriving music and restaurant scene. From the AICC and Pittodrie Stadium hosting international artists and sporting events, through to historic venues like the Beach Ballroom and The Lemontree hosting local bands and artists, there’s always plenty of entertainment on offer. To see more of what the city has to offer then check out s1play.com where you can find information on over 100 gigs, plays exhibitions and other events across Aberdeen over the next few months. Aberdeen is serviced by rail, bus, road and an international airport – all vital for getting people to and from this important but remote city. Air: Aberdeen International Airport is around 7 miles from the city centre and is well used by the oil industry for transporting workers in from all over the world. Rail: The Aberdeen rail network connects the city to Inverness, Glasgow, Edinburgh and the rest of the UK with sleeper trains available to London. Road: The city is connected to the south by the A90 and onwards to the north by the A96. There is an ongoing legal case as to whether the city should receive a bypass that would connect these roads and ease some of the congestion in the city centre. Aberdeen has an extensive school system with 12 secondary schools, 34 primary schools and 9 schools for children with special needs in the greater city area. Aberdeen is also home to the UK’s fifth oldest university, the University of Aberdeen, with origins from 1495, and Robert Gordon University. Aberdeen has a number of popular shopping centres such; the Academy Shopping Centre, Bon Accord & St Nicholas Centre, Trinity Shopping Centre and the Union Square Shopping Centre. Union Street and Belmont Street are also home to both international retailers and well known local shops.